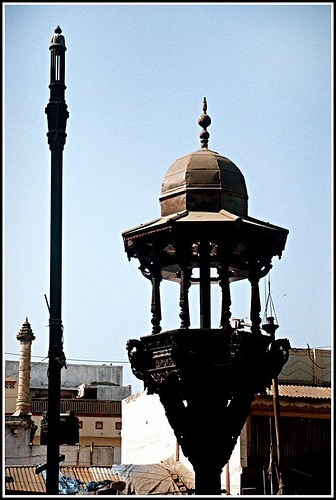 Parabadi and Chabutara (structure on a pillar to place grains for birds) are unique in Hindu folk architecture. 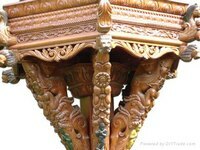 There is a fine blend of calture, art and usefulness in their structures. Chabutara is a symbol of Indian attitude to support birds etc. The majority of the birds coming to chbutara are doves. The word ,Chabutara is retrieved from Kabutar - Gujarati name for dove. Majority of the chabutaras in Gujarat are in Ahmedabad. At present there are more than 200 chabutaras in Ahmedabad. 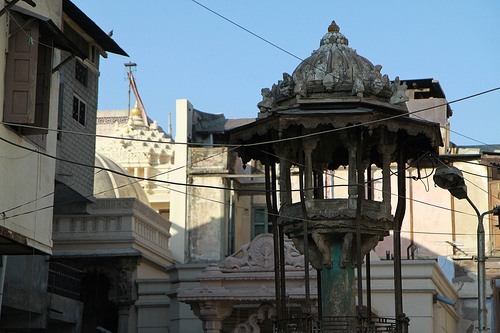 In each pol or street the chabutaras are erected either on the individual basis or collective basis. They are managed by Panch, a group of residents of the pol. The residents place grains in the chabutara for birds as per their capacity. Even today, the tradition of placing grains is existent. The chabutaras are made from wood, stone, iron or bricks. 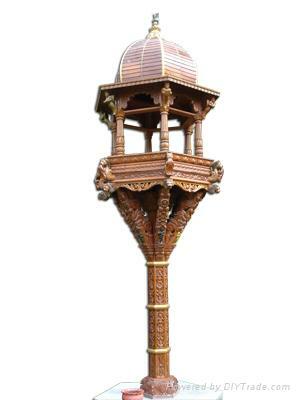 The chabutara is placed on a big thick pillar fixed on a platform. The platform of the chabutara is called Pithika. At some places, there is a small water room on the platform of chabutara. Such chabutaras are called parabadi. 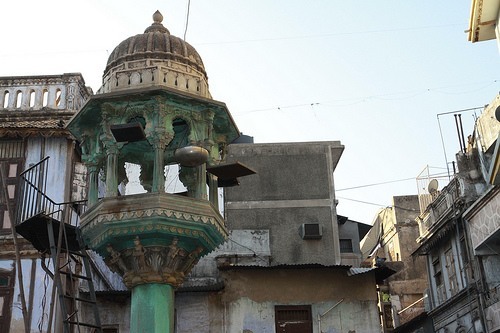 A ladder is placed against the pillar to climb upto the chabutara to place grains and water in a bowl for birds. The sculpture of chabutara is usually artistic. The chabutara placed on a big pillar looks like a palace supported by a pillar. The pillar of the chabutara is normally, five to six meter in height. The shape of chabutara is round, square, pentagonal, hexagonal or octagonal. The dome is supported by the small pillars. These supporting pillars are also artistic. The images of dolls or devotees are carved on them. 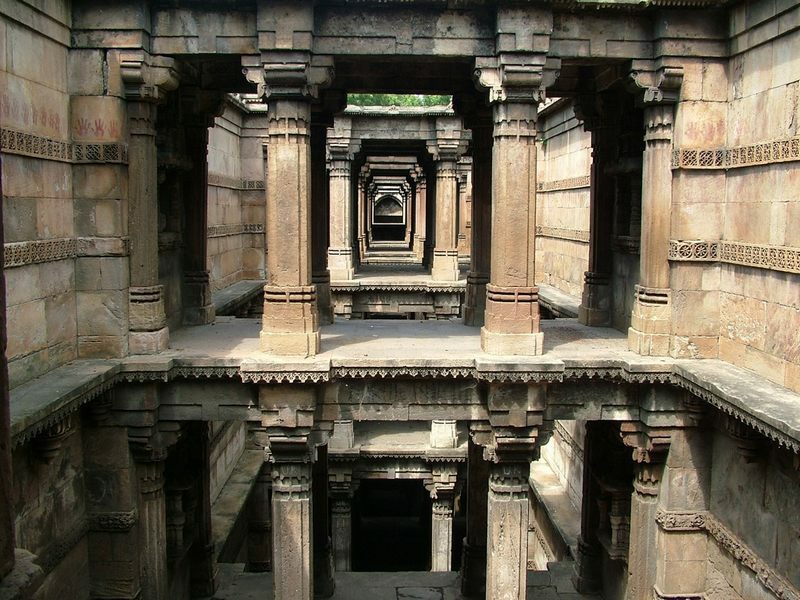 Stepwell is a unique aspect of hindu water architecture. There were many stepwells in the past and few of them are still in existence.Many of them are ruined, destroyed or filled up. Usually, the stepwell is found on public roads. Wealthy people or the merchants used to build them for provideing facility of drinking water to the travellers as well as providing a place for rest. A stepwell has long and wide steps, which can lead us to the well. Therefore, it is called stepwell. The distance between the entrance and the well is normally larger. So, various storeys are built to cover that distance. 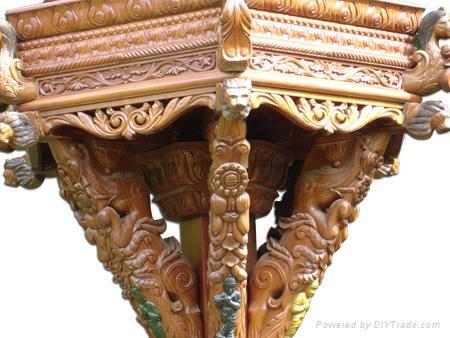 There are supporting pillars and recesses with fine carving on them to give them artistic look. Adalaj-ni-Vav is one of the best step wells in Gujarat. It was built in 1499 by queen Ruda in the memory of Virsingh Vaghela. These stairs meet in the first storey underground in a huge square platform, which rests on 16 pillars. The walls of the well are richly carved. The sculptures range from a king seated on a stool under the parasol to the dancing girls. It is developed as a tourist spot by Gujarat Tourism with free entry and photography is allowed. Dada Harir-ni-Vav is situated in the area of Asarva belonging to the period of Sultan Muhammad Begada. The inscription on the vav appears �Antahpur dware Sarvadhikari Bai Harir�. It is said that Muhammad Begada had a son named Khalilkhan, who ascended the throne under the name of Mujaffarshah II. His mother�s name was Harirbai. She was the daughter of a Rajput King of Mahikantha. According to some historians, Harir must be a foster mother of Muhammad Begada or any of his princes. This lady established a village called Haripur near Asarva. According to the stone inscription in Sanskrit, the construction work was over on 15th December, 1499. 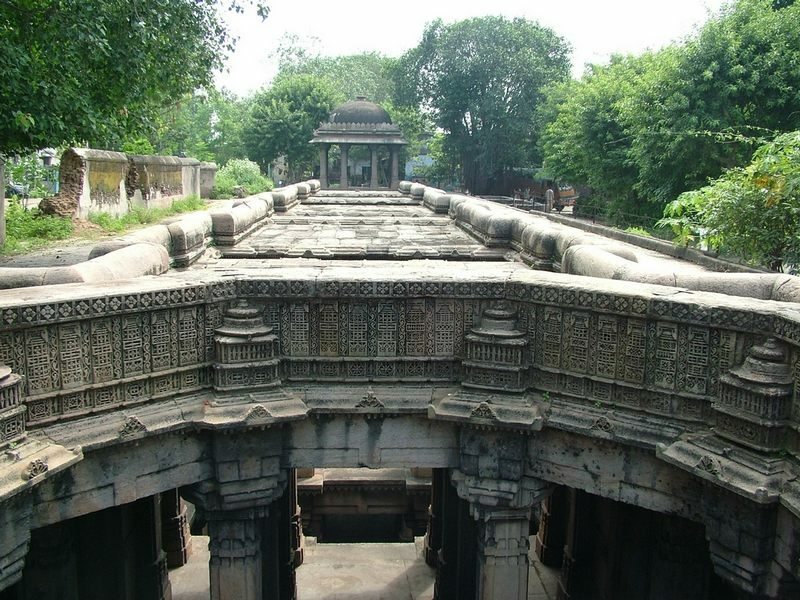 Another historical stepwell called Matar Bhavani-ni-Vav is also in Asarva. It has no decoration. 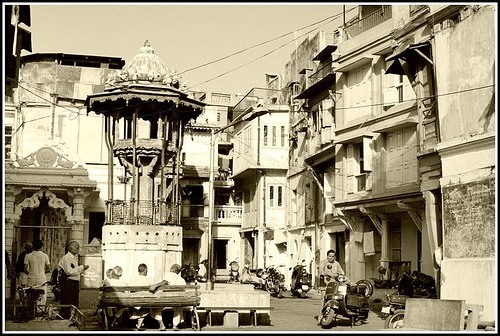 From its architectural design it can be said that it belongs to Solanki-Vaghela period before Ahmedabad was established. The image of the deity Bhavani is carved in the stepwell. The design of its pillars and steps is in the style of a Hindu temple. Besides these, there are many other stepwells as Amritivarshi-ni-Vav near Panchkuva Darwaja, Ashapur in Bapunagar, Khodiar in Vasana, Jijibai in Isanpur, Sindhwai Mata in Ramol, Asha Bhil in Rakhial, Hanumanji in Jamalpur, Jethabhai in Vatva etc. 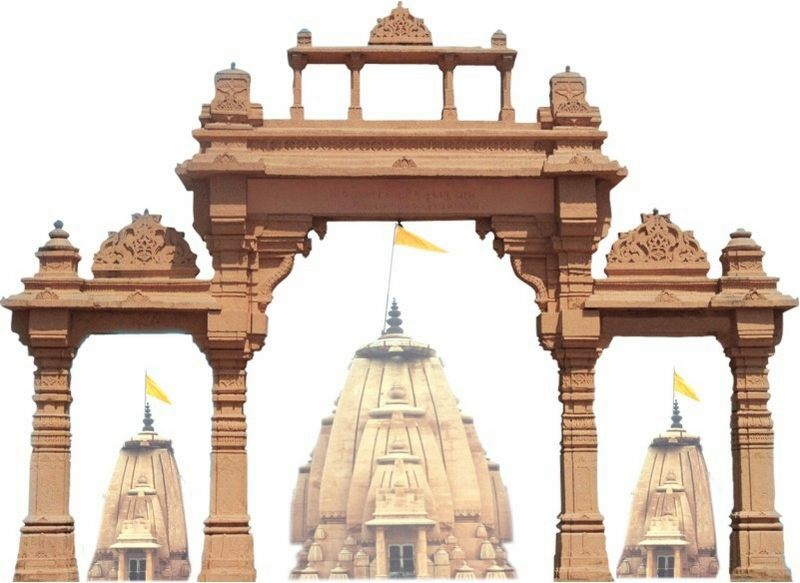 Karnamukteshwar is the only ancient Shiv temple as old as 1000 years situated beside New Cloth Market, out side Sarangpur Darwaja. It has historical significance and is preserved in the memory of King Karnadev and his old city Karnavati. 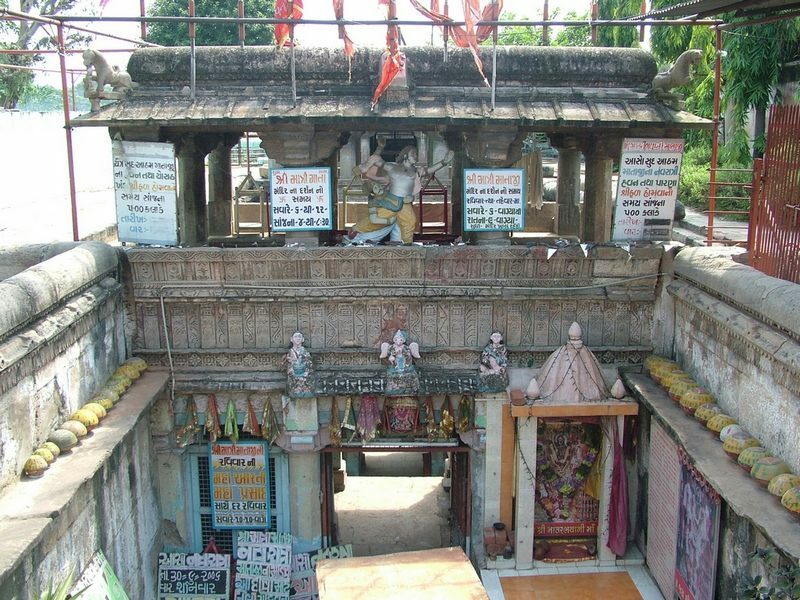 The temple of the protectorate deity of Ahmedabad is situated at Bhadra Fort. People believe that the fort is known as Bhadra Fort, because of the temple of Bhadrakali here. But this assumption is baseless. Most probably the temple came into existence during the Mughal period or even after that. The significance of this deity Bhadrakali, is great in people�s mind. Its importance is greatly felt during Navratri festival, on Kalichaudash and on the New Year day of Hindus - Besatu Varsh. 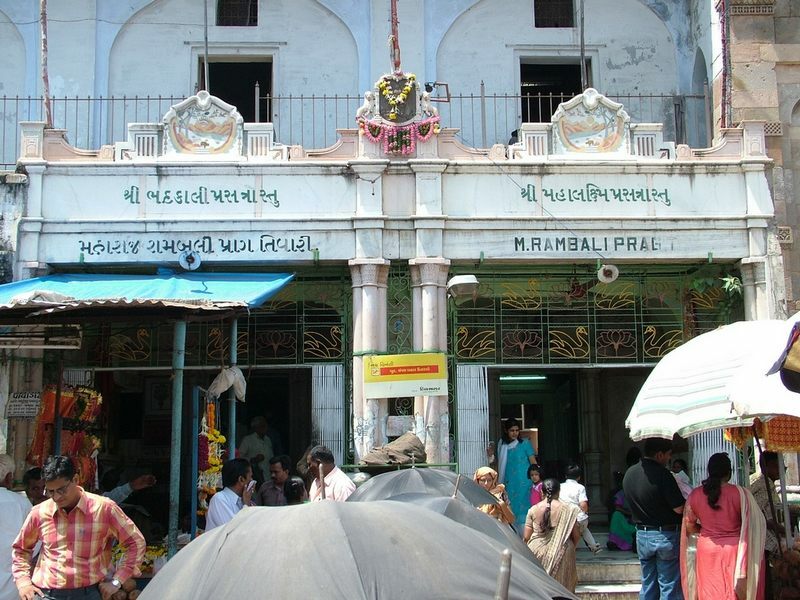 Among all the temples of Ahmedabad, Jagannath temple of Jamalpur is unique and it has special significance. 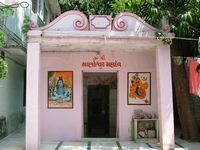 About 444 years ago, Hanumandasji Maharaj of Ramanand sect established a temple here and placed the image of Hanumanji in the temple ceremoniously. Later, Sarangdasji brought the images of Jagannath, Baldevji and Subhadraji from Jagannathpuri and ceremoniously established them in the temple. From that time onwards, this temple is known as Jagannathji Mandir. 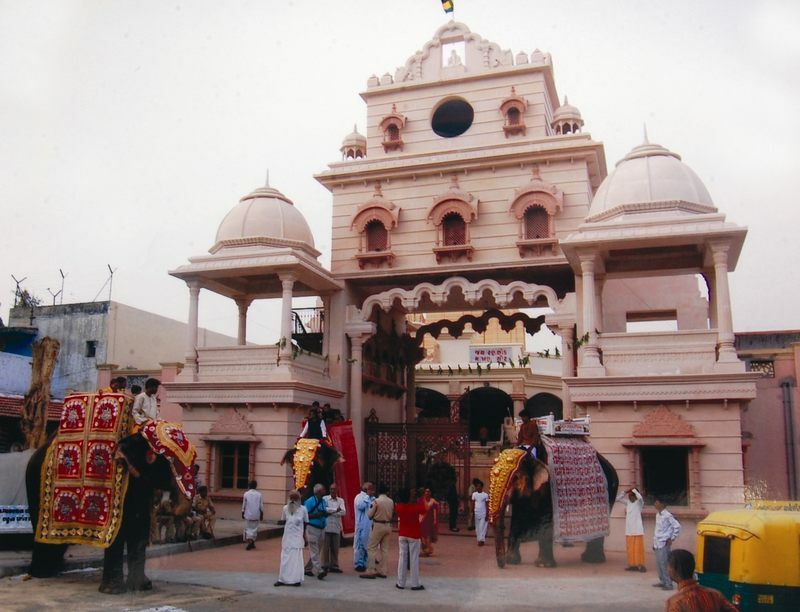 Narsinghdasji Maharaj started the tradition of Rath-Yatra and made the temple popular everywhere. 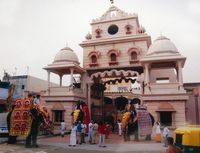 Under the supervision of Mahant Rameshwardasji, the temple was renovated. People of the city have great faith in Jagannath. They are delighted to receive Malpuva and Ganthia as Lord's Prasad in the temple. Gita mandir of Ahmedabad is one of twelve Gitamandirs, established in different cities of country as well as in New York, by Swami Vidyanandji in 1941, for spreading the pious message of Gita. 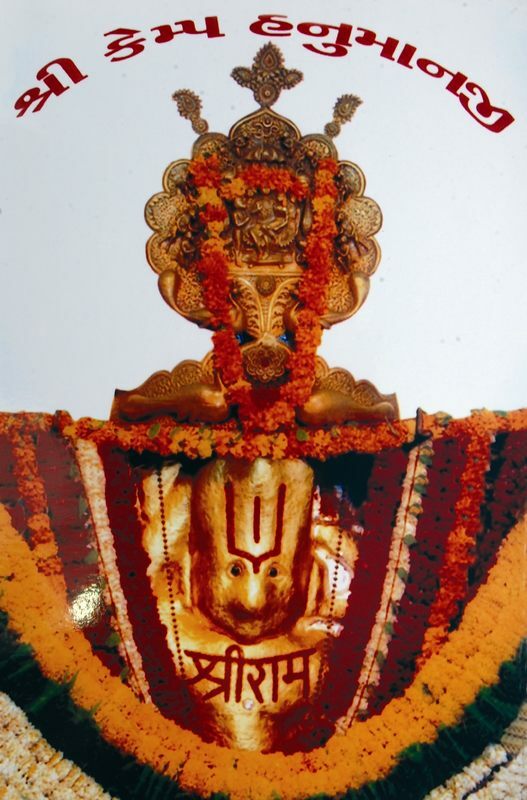 A beautiful and attractive image of Gitaji with four hands was ceremoniously established in the temple, after leading a procession with the Arjun Chariot. The marble panels bearing verses from Gita inscribed in them are placed on the walls of the temple. 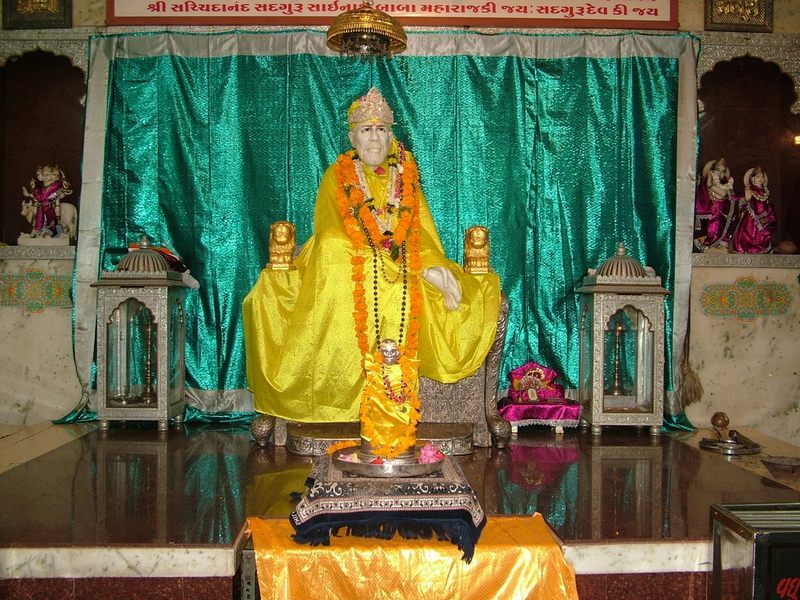 Among the eighty four Bethaks of Shri Mahaprabhuji Vallabhacharyaji, the 69th Bethak is in Naroda area. It is about 500 years old. It is an important religious place for the Vaishnavas. 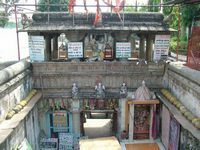 There is an old temple of Natvarlal Shyamlal in Doshiwala�s Pol on Relief Road. 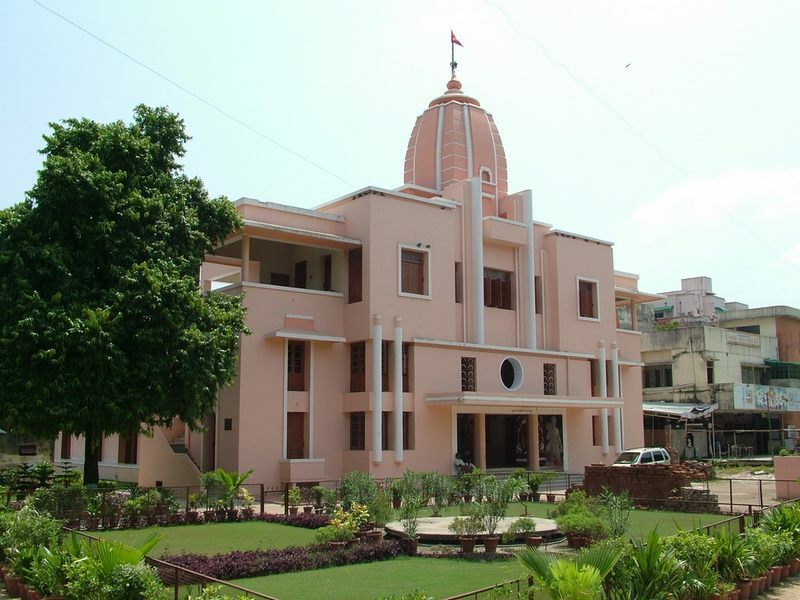 The significance of Vallabh Sadan on Ashram Road has increased recently. 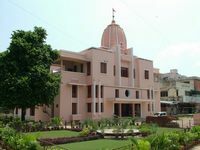 Krishnadham complex, situated on Gandhinagar Sarkhej highway, is popularly known as �Shri Bhagwat Vidyapith�, established by Shri Krishnashankar Shastri in 1983. In its grand Kalpataru hall, 18000 verses of Shrimad Bhagwat are inscribed on marble plates and placed on the walls: The first rate Mahavidyalay for learning of Sanskrit and Vedic literature is also located on campus. It is situated on S.G. highway, which was gorgeously accomplished in 1997. 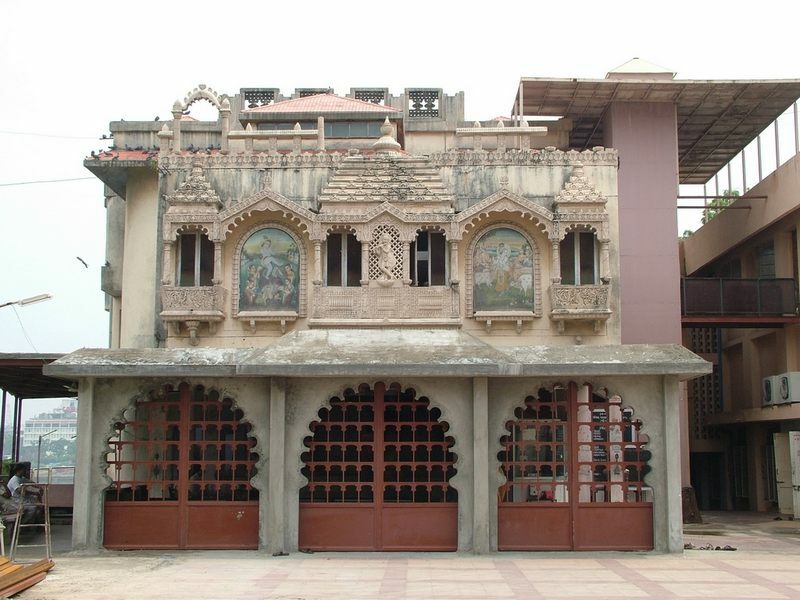 A judicious blending of Gujarati Sompura style and Rajasthani Amira-style is seen in the construction of this temple. The stone pillars with artistic engraving, the place of worship with different-designs, the windows with the artistic engraving in Rajasthani Mewari style and the ceiling in special Khamira and Jaypuri style etc add beauty to the temple. There is an attractive panel of Rass Leela in the dome. 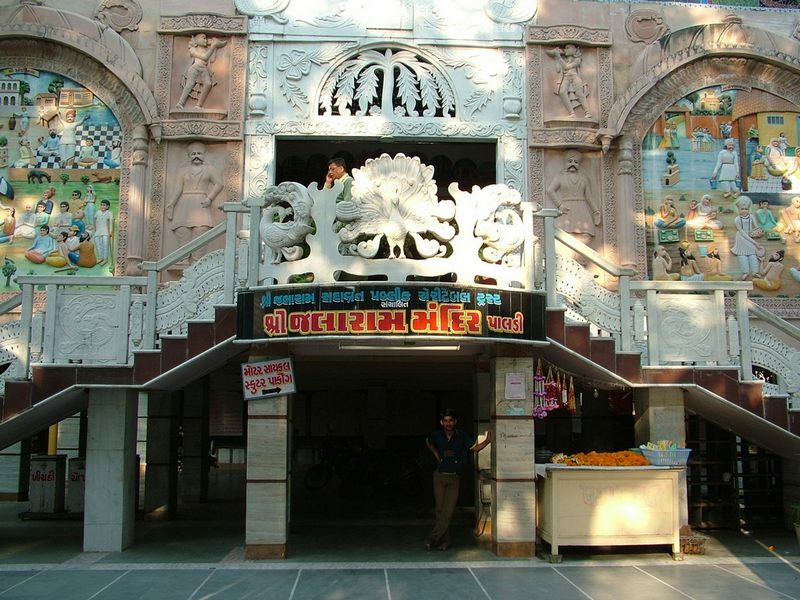 Tri-dev Mandir established by Dada Bhagwan Foundation on the way to Kalol from S.G. highway is worth seeing. The image of Jain Tirthanker Simandhar Swami, Lord Shri Krishna and Lord Shiv are placed in the temple. 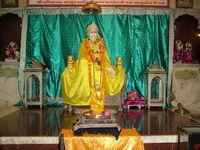 The marble image of Simandhar Swami is the tallest of all. Its size is 12ft and 7 inches. 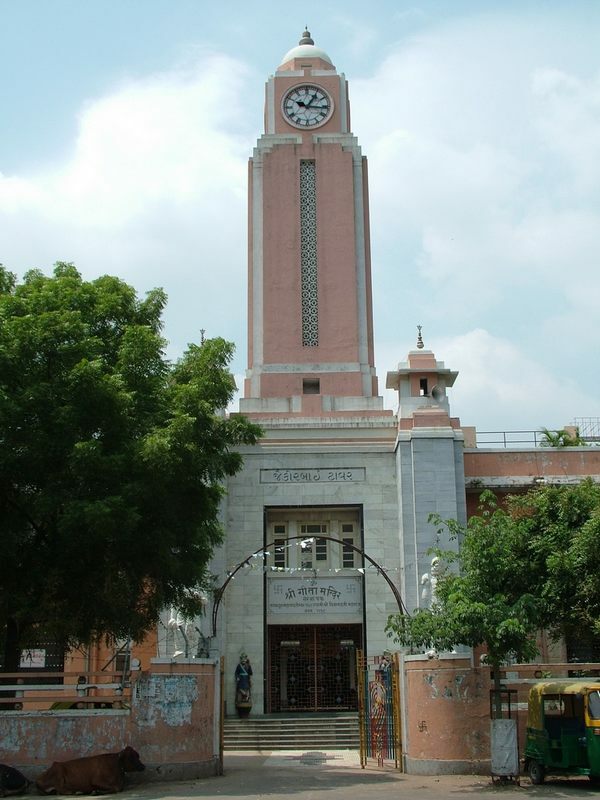 Tri-Mandir has a campus of 10 acres and its inner hall has no pillars. There is a big Satsang hall below the temple. There are a few important temples on both the sides of river Sabarmati. Among them, Khadak Dhareshwar Mahadev is an ancient temple. It is situated near Circuit House towards the bank of the river. 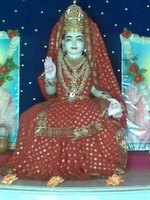 Kaushalayadevi mandir of Kocharab village reminds us of the deity Kocharva of Karnavati. 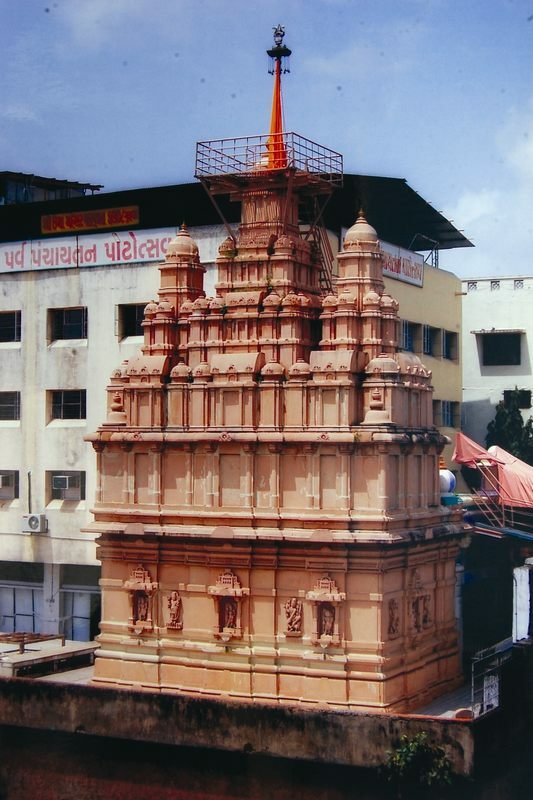 Nilkanth Mahadev temple of Asarwa is as old as 400 years. 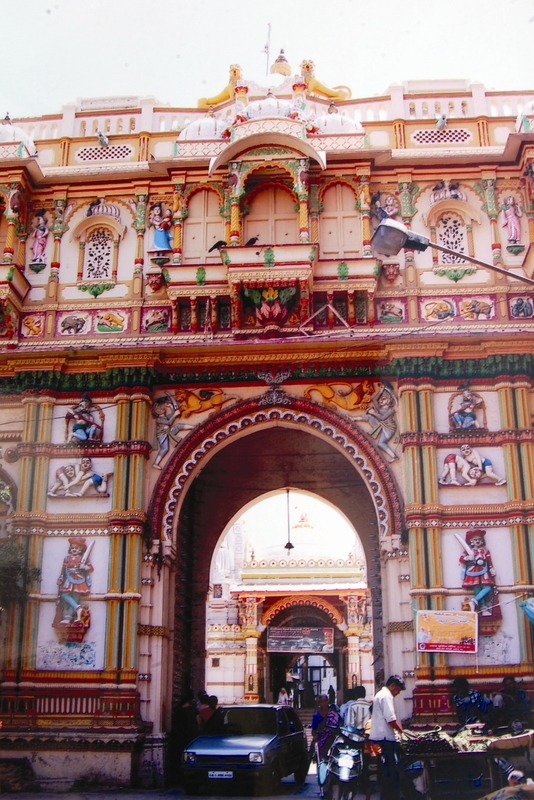 Among the temples existing during the Maratha period, Ranchhodji temple of Mandvi-ni-pol and Bahucharaji�s temple of Sarangpur are remarkable. 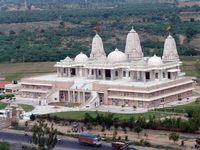 Camp Hanuman temple, which has become popular since the period of British Rule, is renovated and it has grand appearance. 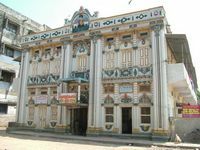 Prarthana Mandir established with the purpose of social reforms (1874) and Arya Samaj Temple (1894) are also worth seeing. 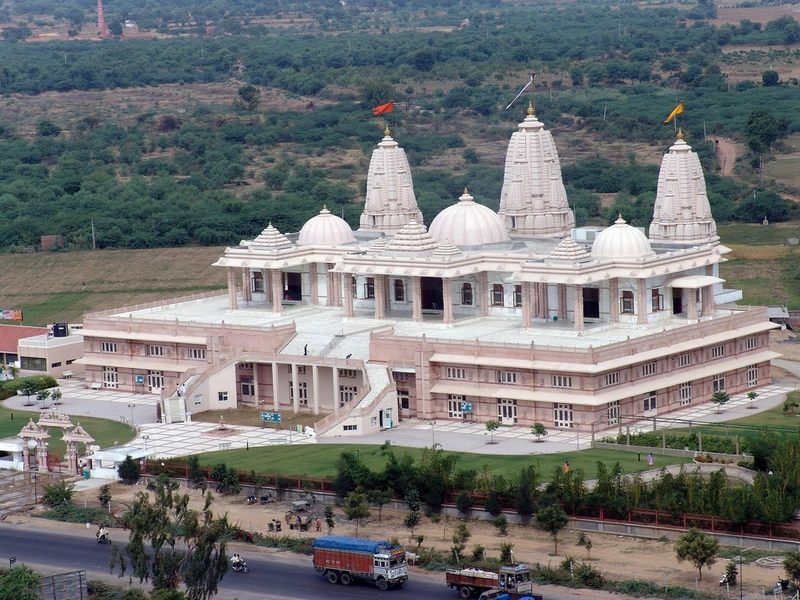 Temples like Ramdev Pir temple of Gheekanta Road, Bala Hanuman and Saibaba temple on Gandhi Road, Ved Mandir of Kankaria, Jalaram temple near Shreyas Crossing, Mahalaxmi in the campus of Bhadra, Chakudia Mahadev of Rakhial, Sanyas Ashram and Swami Hari Haranand Ashram mandir on Ashram Road, Sarayu mandir near Prem Darwaja, Ambaji�s temples in Dhana Suthar Pol, Madhavpura and Memnagar, Gayatri Mandir etc are the places of faith for Amdavadis. 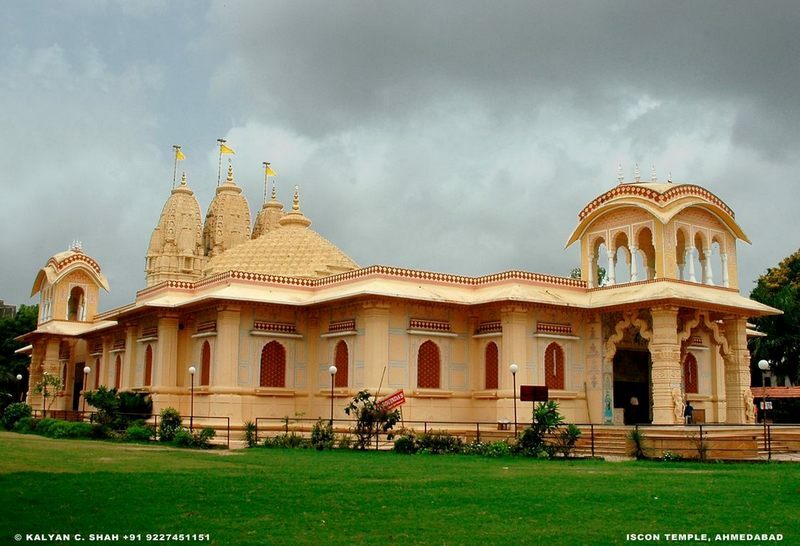 The oldest historical temple of Swaminarayan sect is situated at Kalupur. Ranmalsianghji, King of Bharatpur took diksha from Sahajanand Swami and acquired new name-Anandanand Swami. He had taken up the responsibility of the construction of this building. When the temple was ready, Swamiji was called from Gadhada and he was given a warm welcome at Kankaria Lake. English officer Mr. Dunlop and his wife also joined the welcome ceremony. In 1822, he himself had placed the images of Narayandev in the middle, Lord Swaminarayan on the right and Radhakrishna on the left. This auspicious occasion was celebrated by the Government of East India Company with great pomp and show. In the interior of the temple, we can see �Sukhshaiya� mattresses and other things used by Sahajanand Swami being placed on the cot. In the courtyard, we find an artistic dome resembling an umbrella. 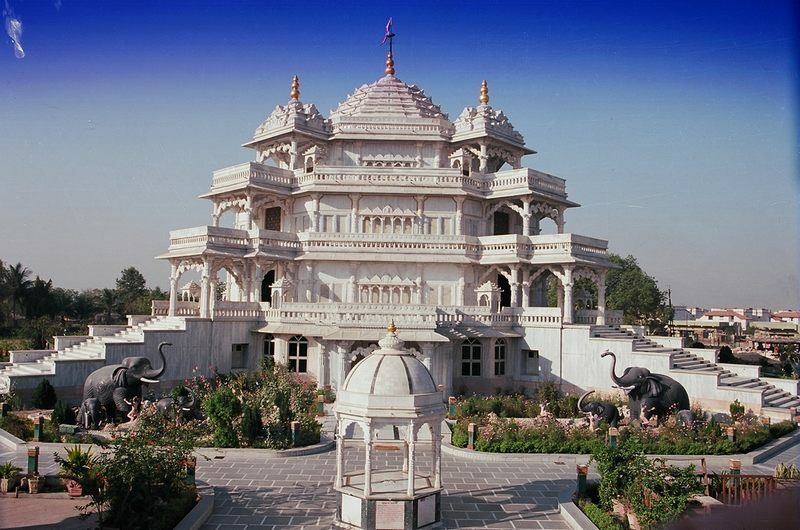 The stone carving of Sahajanand Swami�s foot-prints are also kept here. 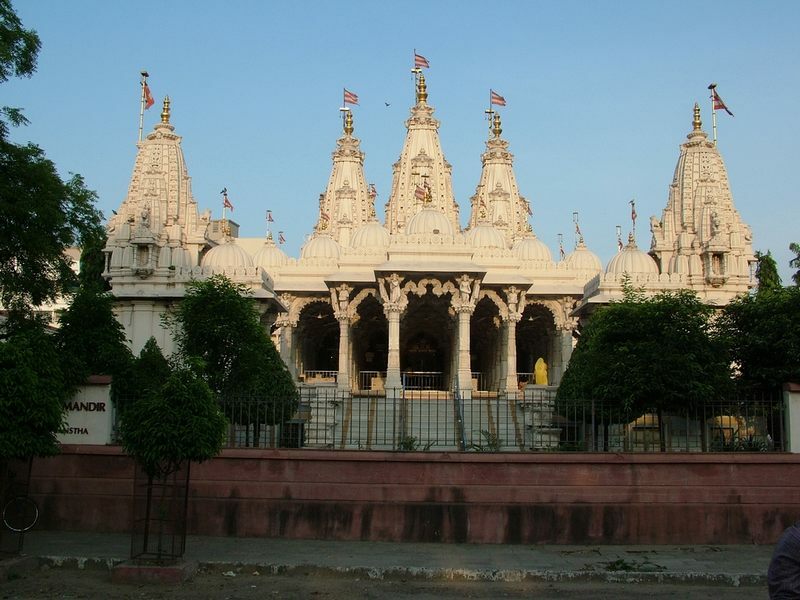 Swaminarayan temple shining like pearl was built by Muktajivandas Swamibapa in 1944. 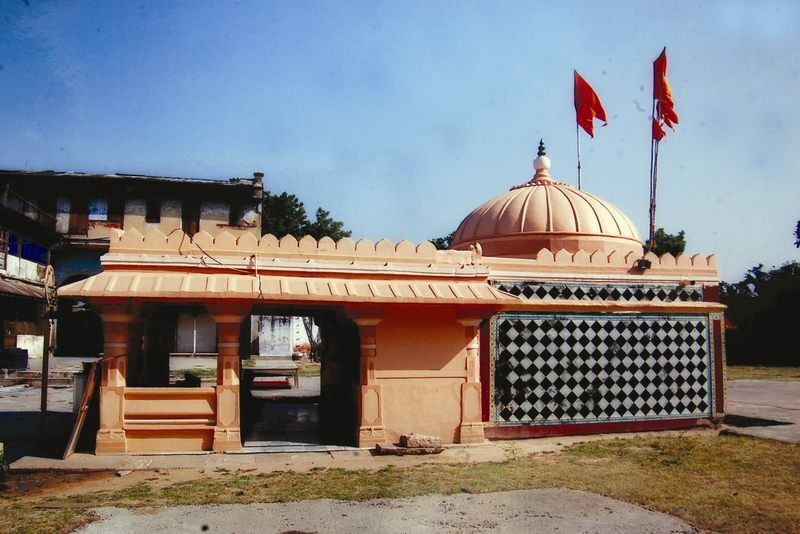 After Muktajivandas Swamibapa�s demise, his disciple Purushottam Priyadasji Swami constructed �Smruti Mandir� at Ghodasar. 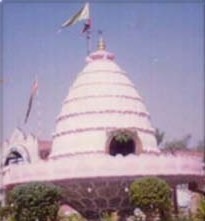 It is a unique symbol of Gurubhakti (worship of preceptor) as it is built in the memory of Muktajivandasji. 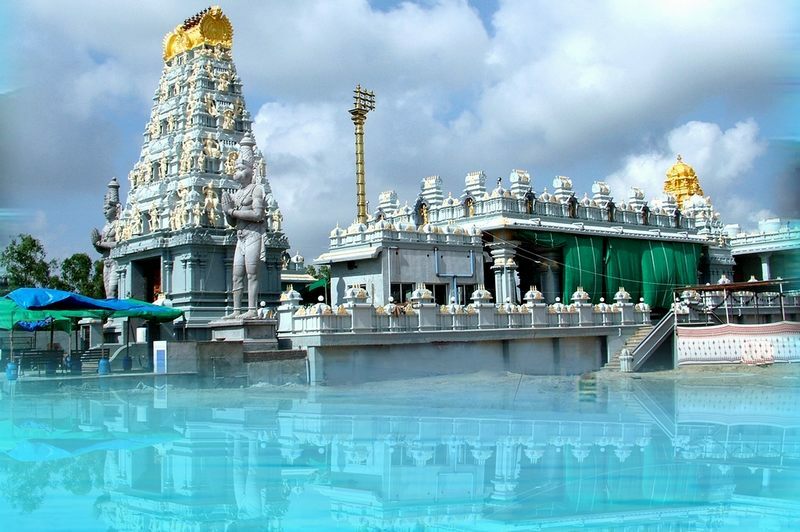 The temple constructed in 1991 gives us an experience of beauty, grandeur and divinity. Shri Akshar Purshottam Mandir of Shahibaug was constructed by Yogiji Maharaj of Akshar Purshottam Trust of Bochasan in 1962. Later, his successor Pramukhswami Maharaj placed the image of Ghanshyam Maharaj in the southern dome. 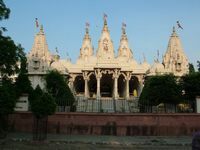 There are many other Swaminarayan temples in the city.